Who am I? What am I doing here? What is my background and purpose? 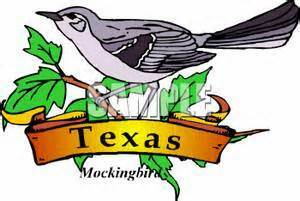 I was born near the campus of Texas Technological College in Lubbock, Texas, while my father was a post-graduate student there. From there my mother, elder brother and I followed him to various teaching positions until he enlisted in the Navy during WW2. During the war years, our family moved to San Diego, California, where we gained new views of culture and life in general. 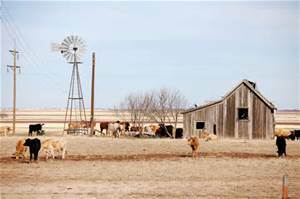 After the war, my father left the teaching profession and moved the family to a dry land farm in the Texas Panhandle where his love of plants and animals was infused in us all. I attended public school in a small Texas town and could not wait for the next day’s assignments–probably because my teachers were well-trained and dedicated to their jobs. After graduation, I earned two degrees in different state universities. During those years, I determined to learn everything possible, but some things weren’t (technology among them). Probably the most important accomplishment in my lifetime was that I learned flexibility and tolerance because of my travels. My husband and I have traveled in twenty-three countries and lived in five during the fifty-six years of our life together. I am a mother, a grandmother, and a teacher–teaching courses such as parenting, home economics, art and English in the schools where we have lived. I hope to see you around often and maybe we can discuss a few lessons each of us has learned along the pilgrim’s pathway. I am supposed to be able to add the words ‘bloggingfundamentals’ and ‘firstfridays’ to make this page more visible, but there are no tags for pages. Go figure. J.Gi, have you ever noticed how families seem to stay in the same profession? My daddy taught math, Spanish and English. Others in the family taught other subjects and grade levels, but I never knew there was another job when I thought about what I might do someday. LOL, not just my dad, but my mother and aunt and several other members of our family. Wow, it runs in the family! Well, both my parents were the only ones among many kids in their respective families who graduated from college. I don’t know if any of my aunts or uncles would have wanted to teach, too, if he/she ever finished college. When we were growing up, I never knew there was any other way to do things than to go to college. I thought everyone went to college, so I was willing to pay my own way when times got rough for my parents. My dad had a pretty severe heart attack and had to retire early. Oh. Sort of like mine, eh? They both had to retire early. Well, when I was young, I knew that a lot of people didn’t/don’t even reach college, but I never doubted that I was. I just wasn’t sure what degree to take up, though. Guess what! We are already neighbors! Well we used to be. I’m originally from Louisiana, now in Florida. Love your site and layout. 😉 Think I’ll learn some good lessons here! I hope we can visit often and learn from each other. I hope to see more of you and your article in the future. You share a geographical heritage with one of our daughters-in-law as well as with me. Ellie, I particularly like your last name, since it is the same as a neighbor who taught me to love quilts when I was a child. Thanks for the follow. I hope to find good stuff on your blog. Your avatar is really nice. I am possibly the most unobservant person on the planet: yesterday, I realized that maybe I had misspelled the name of your site. I tried to fix it in the reblog on whatoftwasthought, but I still got it wrong! Today, I finally see: you use the copyright sign instead of an “o” in Lessons. I think I corrected this? Apologies, dear friend. Sandy, That is not a problem at all for me. I wanted some “cutsie” way of saying please don’t copy from this blog (mainly pictures), and that little signal seemed to be the easiest right now. I do not always use original photos; sometimes I borrow from free sites like the (http://www.morguefile.com/archive), but there are times when some pictures are not to share. I have not learned how to make a watermark on them yet. Maybe my son or my photographer granddaughter will help me learn that one day. There is another “gadget” that would really be helpful and that is to disable the right click button. I used to know how to work that one, but have forgotten. Hi! Hi! I nominated your blog for One Lovely Blog Award, but I linked Muliebral Studies. Is that ok? I was nominated by another blogger last week, so maybe I should get busy and answer her questions. My problem is that I am not familiar with a lot of bloggers who have not already been nominated. And I am embarrassed not to have others to nominate. Hi, I know I was the same way. Others encouraged me to name some blogs that I thought should receive the award. Hmm., I didn’t even think about what kind of info. I was giving away in my nomination post. Whose post about disclosing too much did you read? I contemplated changing a couple of my “seven thing”s after I posted–I frequently do edit my posts after they’ve been published (I’m starting to dislike that aspect of blogging, to tell you the truth: there is no such thing as “done” with a post). I am not sure what to do about this. I read the fella’s post about too much disclosure and wondered, but since then I have read other’s responses to the same questions and found them nicely evasive. Just look at how much I have told in this post already! Beth, this is outstanding. I think you should take a crack at putting all of that information into a couple of paragraphs. It might flow better and help get the reader from start to end. Lead the first paragraph with an interesting tale/experience and hook the reader! Those are just my two cents and I’m certainly no expert. Have a great week and thanks for sharing! Did you check to see if I followed your directions the way I should have? The main reason for the space between some sentences was because of the quotes. I like you about page. It tells me a lot, Your page is beautiful.